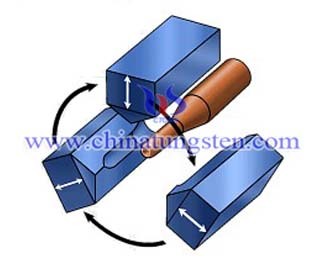 Swaging is a forming method of reducing a regular or irregular cross section area of tube, bar or wire using two or more dies which surround the outside of the workpiece completely or partially, to a round predetermined diameter. 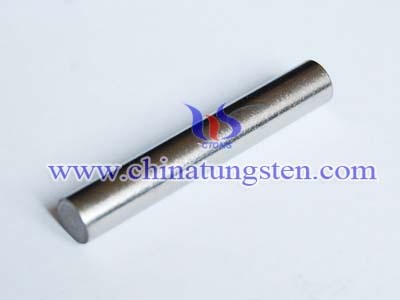 Swaging machining is a processing technology of using the rotating forging machine which is the combination of forging and rolling metal forming machinery, of which making more malleable of tungsten alloy rod by passing through a swager in the temperature ranging from 1200°C to 1500°C.In metal forming machine, deformation process firstly by local deformation than gradually expanded to the whole. 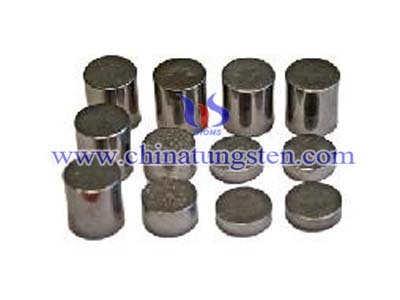 Die drawing also can enhance the tungsten alloy rod's tensile strength, fatigue resistant strength and prolong its service life, largely increase the added value of tungsten alloy rod. 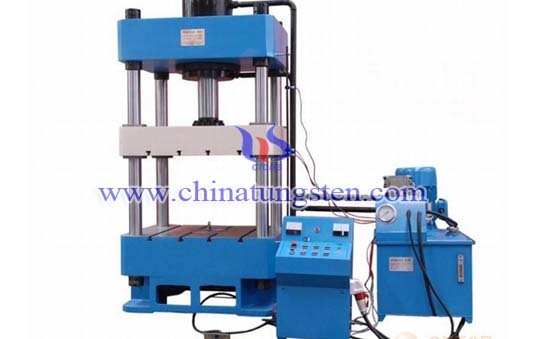 However, die drawing causes serious problems of foraging, what is more, the strength and fatigue resistance is far less than swaging. 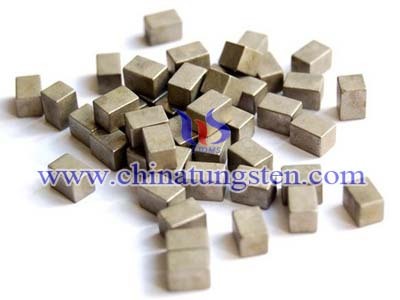 After swaging, greatly ameliorate broken power and tensile strength of tungsten alloy rod, improve product performance and longer life and better the tungsten alloy rod's surface quality. 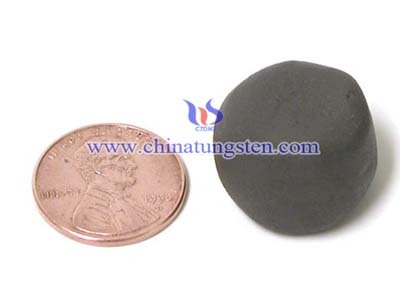 Swaging is widely used in foreign countries of whom are adopting swaging instead of die drawing.